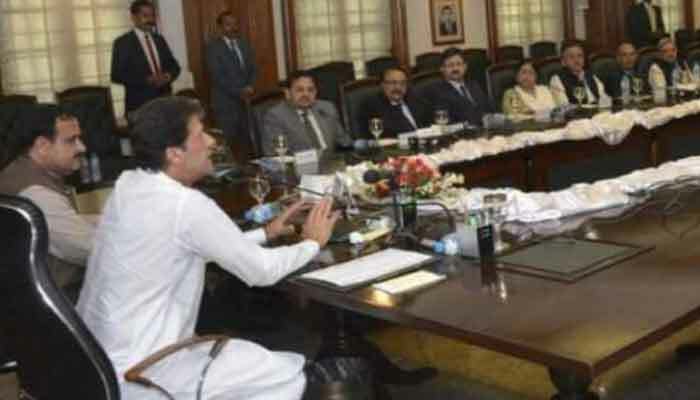 ISLAMABAD: On the critically important issue of depoliticisation of civil bureaucracy and police, which has been the top slogan of PTI for years, Prime Minister Imran Khan does not find the required support from his cabinet ministers and party leaders. An informed and well placed official source included in the PTI government’s civil service reform work confided to The News that Imran Khan is willing to surrender his own discretionary authority in the appointment of federal secretaries. However, many of his ministers want to have their role in the appointment and removal of federal secretaries. The source admitted that without any political interference merit based institutionalised appointments and security of tenure for bureaucrats are the key conditions for the depoliticisation of civil bureaucracy for which Imran Khan is ready but his ministers are not. It is said that Imran Khan accepted the proposal when he was told that his discretionary power to appoint or remove any officer as secretary in any ministry or division will be done away with. 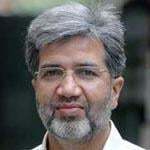 The premier was told that in order to appoint the right person for the right job and to check the arbitrary use of PM’s discretionary power, a three-member committee of senior bureaucrats will be constituted to suggest a panel of three officers for each post of the secretary. In the proposed scheme, Imran Khan was told that the PM would have the authority to appoint any officer as secretary from the suggested panel but he could not appoint or remove any officer arbitrarily as is being done in the practices followed now. The source said that the premier was also supportive of security of tenure of federal secretaries and that a secretary could only be prematurely removed for some sound reasons to be recorded in the file. The source lamented that despite Imran Khan’s readiness to surrender his own authority for the sake of depoliticisation of the civil bureaucracy, his ministers opposed the move and wanted their hold in their secretaries. The ministers’ argument, it is explained, was primarily based on two points. First, how the ministers could be held accountable for their performance when they would not have the secretary and the team of their own choice. Second, the bureaucracy which is already not in control of political government would become totally out of control if given security of tenure. Those who in the government understand the reasons for politicisation of bureaucracy, argue that if the typical mindset of “controlling the bureaucrats” and “having choice officers” prevails, there is no hope for improvement in the bureaucracy even during Imran Khan’s government. Because of the resistance from his cabinet ministers and party leaders, the prime minister has not been able to approve or introduce any single reform in the bureaucracy so far. Following cabinet ministers’ pressure, a proposal seeking ministers’ role in the transfer or removal of federal secretaries was submitted to the cabinet division a few weeks back by a ministerial committee which was assigned to firm up a civil service reform recommendation for security of tenure for secretaries of ministries and divisions. The ministerial sub-committee headed by PM’s adviser on Establishment M Shehzad Arbab had made certain changes in the reform proposal that was presented before the cabinet in November last year by Dr Ishrat Husain, who is PM’s adviser on institutional reforms and austerity. Besides others Shaikh Rashid and Pairvez Khattak were members of the ministerial committee. Following cabinet ministers’ demand, the reform proposal has been amended to allow the ministers to seek premature transfer/removal of their respective secretary within six months of secretary’s appointment. After the six months period, the federal secretary’s tenure will be protected unless the government wants to remove him for sound reasons to be recorded on file. The proposal, pertaining to the procedure of federal secretaries’ appointment and security of their tenure, was referred to the ministerial committee in mid last November by the cabinet following some opposition voices within the cabinet against this proposal. Originally, Dr Ishrat Husain-led task force had recommended the setting up of a committee of three top bureaucratic aides of the Prime Minister - Secretary Cabinet, Establishment Secretary and Principal Secretary to the PM - to recommend to the premier a panel of three most suitable officers for the appointment of every federal secretary. The premier, according to the proposal, could appoint any of the three officers recommended for a particular post of federal secretary by the committee. However, in case the prime minister does not find any officer included in the panel fit for the post, the committee would recommend a new panel. The reform proposal does not give the PM the authority to appoint on his own any officer as secretary of any ministry or division as is the case now. Once the prime minister appoints secretary of a division, it was proposed by Ishrat Husain-led task force, the officer will be considered on probation for six months and during this period the secretary could be removed or changed. However, after the completion of six months’ probation period, the secretary will have the protection of complete three-year tenure. The ministerial committee made two changes in the proposal recommended by Ishrat Husain. Firstly, there will be no mention of any probation period for the appointment of federal secretaries. Secondly, a minister will be given the chance to seek the change of his secretary within six months of latter’s appointment. Some in the bureaucracy fear that involving the ministers in the posting and transfer of the secretary of their respective ministry or division will further insecure the secretary instead of protecting his tenure. Similarly, after the resignation of former KP IGP Nasir Durrani as Punjab’s chief reformist for depoliticisation of police in the province (which itself was a serious dent to the objective of police reform), the PTI government initially assigned the incumbent Punjab IGP to lead the reform body but later referred the matter to its Punjab law minister Raja Basharat. Now instead of Nasir Durrani, a pure politician and Punjab law minister Raja Basharat will reform the Punjab police.